The Daily Beast is offering Jimmy Breslin's old columns on their website. I don't subscribe to Breslin's worldview, but I enjoyed reading his columns (as well as his comic crime novel The Gang That Couldn't Shoot Straight). 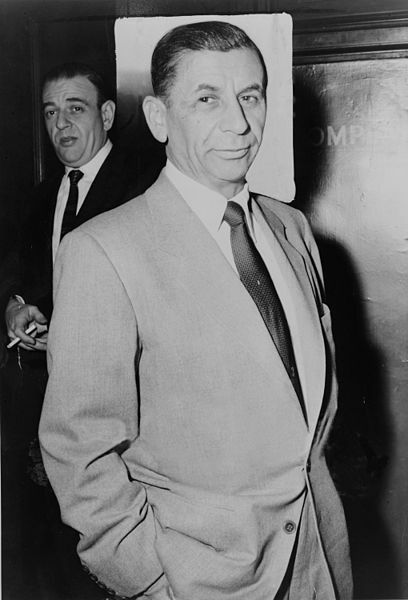 In today's Daily Beast Breslin's column covers the late crime lord Meyer Lansky. He was a man who loved Israel, but not enough to behave in it. There was this time a few years back when Meyer Lansky, living in Florida, decided that a prosecutor’s questions could best be answered with movement, and Meyer left the United States, went to Israel, and asked for asylum. Which he received for a while, and Meyer could be found in the Dan Restaurant, Ben Yehuda Street, in Tel Aviv. He ordered the food for those who sat with him, and if somebody ever tried to order on his own, Meyer would frown. The waiter would inform the guest that the whole restaurant would be happier if people ate exactly what Meyer Lansky ordered.